Nope. 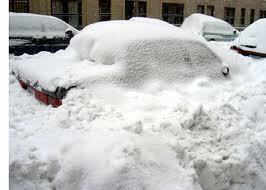 It's more like this crappy blizzard. My husband's out of town. I'm home with my mother, bless her heart. She can't shovel, nor can my two year old. So that leaves me and I'm going to be honest, I'm a wuss. Oh, yeah, I'm going to say it. I pissed and moaned the whole way. Though after a day of shoveling over a foot of snowball, I climbed my way over to my neighbors and begged them to snow plow my driveway. Thank goodness they didn't think my over sized man boots, wet pants, red cheeks and big fuzzy hair were not too crazy and said, "Sure!" So now I can actually walk down my path and drive out of my driveway without cursing! No reading done, not when you are solo with child for the whole weekend or entertaining your mother. Christmas cookies were made, though and that has to be good for something! yum, Christmas cookies!!! snow-shoveling - yucky! you have the fortitude and strength of a queen bee! OMG you poor girl! Someone needs to make you a cocktail, stat! 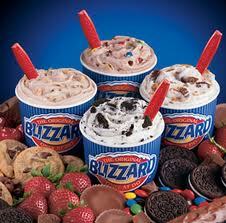 Your blizzard is now knocking on my door!!! But we have a snow blower!! and my son is 15 so he can do it!!! Ugh ... there are few things I hate more than shoveling snow (and winter in general). Christmas cookies sound like they are definitely in order! Hello, I stopped by your blog today. We're having a mild winter so far here in Texas. I expect we'll have some ice descending on us sometime soon. I'm so proud of you for asking for help from your neighbor. That is a ton (literally!) of snow for one petite but strong woman to handle on her own! Right there with ya sister! I had to shovel three times. But it did give me an excuse to curl up with my latest read nearly all day Saturday, so I can't really complain that much! We are getting our first real snow of the year right now. I am glad for the sake of my children, but we won't be driving anywhere until the roads are clear!